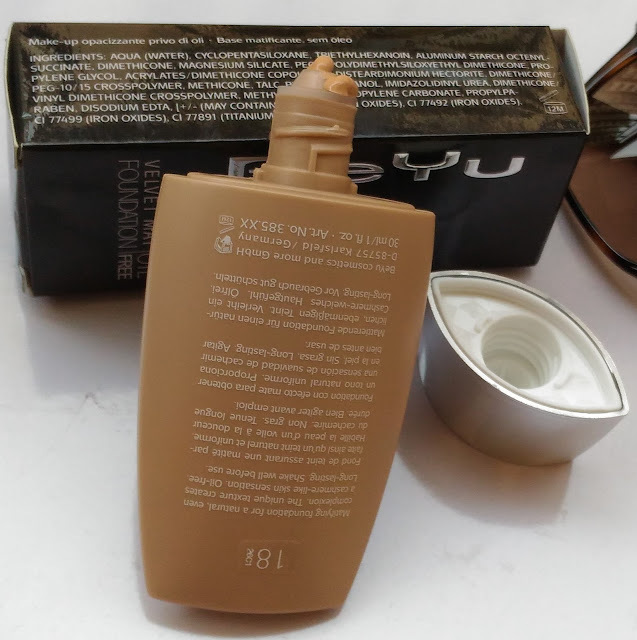 Packaging – BeYu Velvet Mat Foundation comes housed in a sleek sturdy tube. A steel-silver cap and beige body looks stylish on your vanity table. It has a nozzle dispenser on top. I have an issue with packaging it’s related to controlled product dispense. From nozzle sometimes it pumps out more than needed. BeYu Velvet Mat Foundation is suitable for all skin types and works well especially for combination skin or oily skin. BeYu foundation is dermatologically approved and is suitable for sensitive skin as well (yey). Mine is oily skin and I actually stay careful for the foundation I use for my makeup in summers. 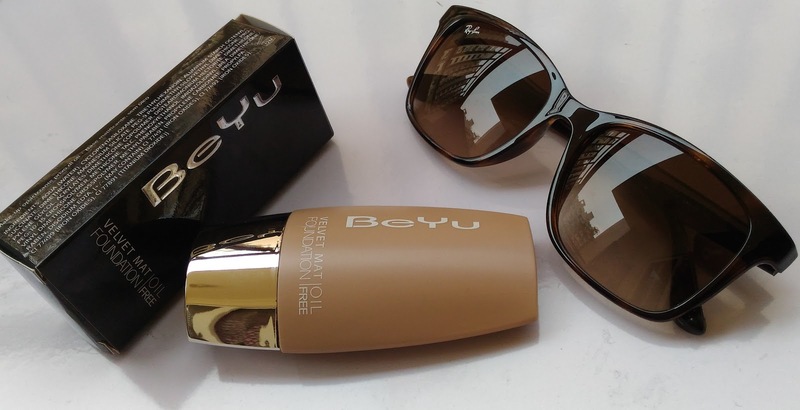 An oil free foundation works well for me and this is why I chose BeYu Velvet Mat foundation. The texture is silky smooth, light weight and gets absorbed in no time. I even took brush test with this foundation. This is a self-designed test that I take. From my experience I have concluded that if a foundation can be set using a brush that is the one we should go for as sponge is capable of setting anything on face (even mud). It takes 3-4 minutes to set whole foundation with wet brush. Two pumps are sufficient for whole face and neck. The foundation gives an even coverage to the skin by making it appear even toned, hides any skin imperfections and skin feels so mat like. Okay one thing I would like to mention is that if you are exposed to sun than trust me no foundation will stay on for long. So I took kitchen heat test. After doing my makeup I prepared lunch (just for the test, not for the sake of cooking) and I was surprised that my face still looked fresh after one hour. I wore to office and dusted face powder after four hours to feel fresh else my face appeared evenly toned and mat throughout the day. It comes off easily with any normal make up remover as well as with face wash. This foundation is fragrance free, oil free. Price is Rs. 1350 for 30ml which is slight expensive but trusts me you have to shell money for good quality makeup. I will consider this product again.